Whatever you need to store, Stow Stuff Storage has the perfect storage unit to meet your needs. Check out the facility nearest you to learn more about what we have to offer! 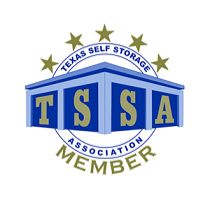 Stow Stuff Storage is a locally-owned and operated storage company with two facilities in Huntsville, TX. We take pride in our superior customer service and our well-maintained properties. When you rent with us, you’ll benefit from a fully comprehensive storage solution, from boxes and supplies and truck rentals to clean, affordable storage units. We’re your one-stop-shop!